Cae Einion is the perfect location for those who can't decide between the mountains and the beach, the cottage enjoys an astounding location in the heart of the Snowdonia National Park, with stunning views of the Cader Idris mountain range, and 750 acres of private farmland. 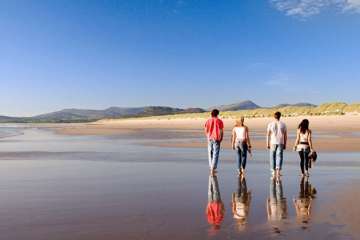 Yet only 10 minutes from golden sands. There are few places as beautiful in the UK. 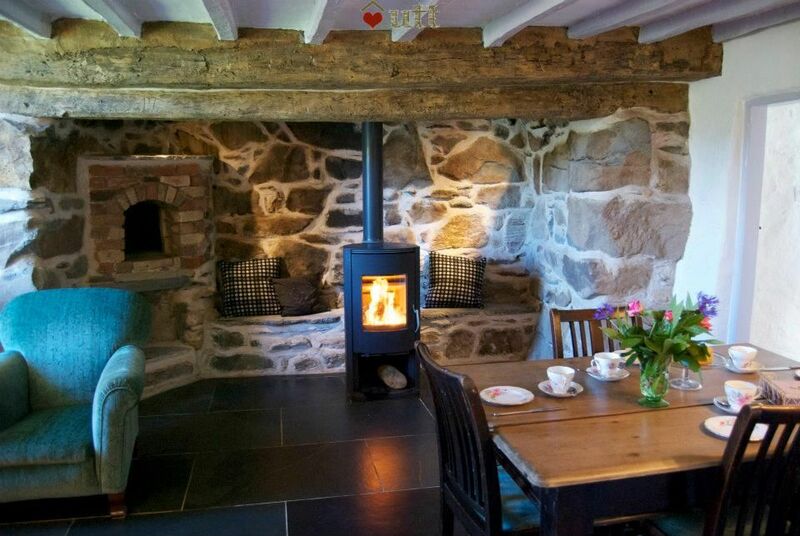 Cae Einion offers a handsomely furnished secluded farmhouse that is snug all year round. 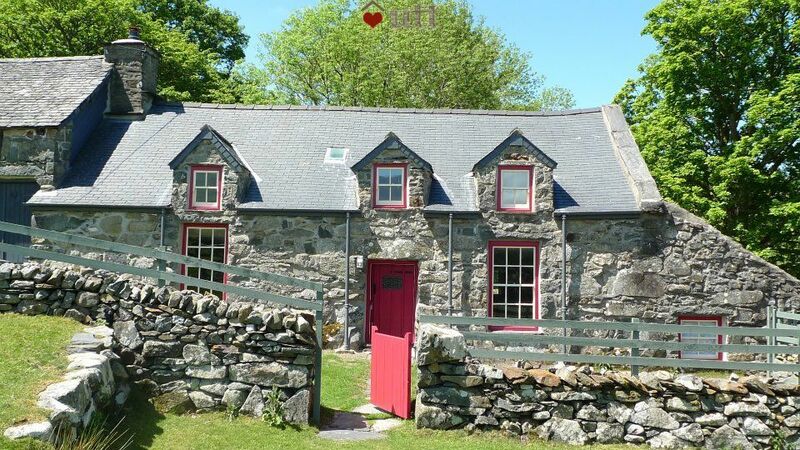 You'd be hard pushed to find anywhere better to stay in Snowdonia (other than Gallestra which is privately situated on the same family farm a couple of fields away across the valley) - this one really is a gem. 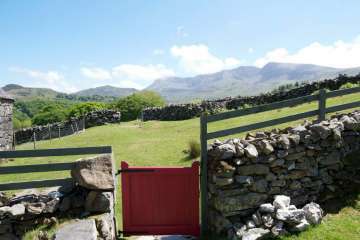 You have direct access to the Snowdonia National Park walk to the Cregennan Lakes and Arthog, connecting with the Mawddach Trail along the estuary between Dolgellau and Barmouth. 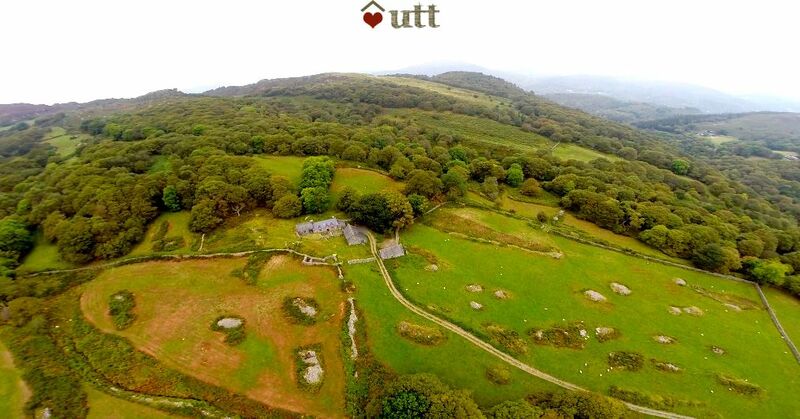 Within walking distance, there are Sites of Special Scientific Interest, RSPB reserves, important geology at Pared y Cefnhir, and prehistoric and medieval sites. A special house in a very special location. We had a wonderful stay at the cottage - lovely and cosy, and we enjoyed some walks and stargazing at night. A very relaxing break. 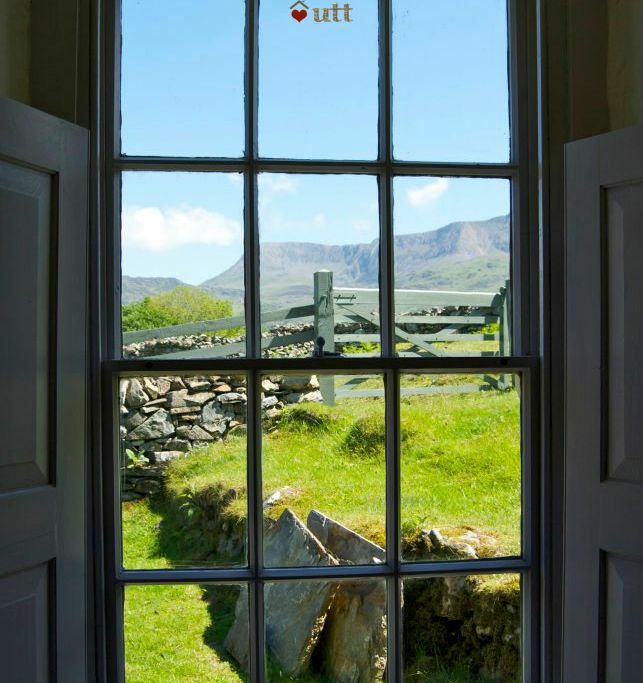 All windows from the main rooms have spectacular views over the Snowdonia National Park. 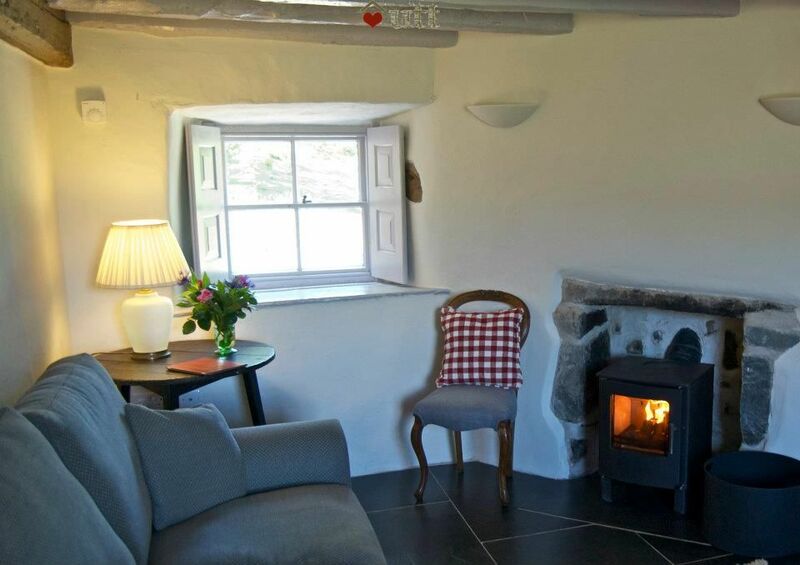 Underfloor heating throughout and radiators upstairs, plus two wood-burning stoves! The first basket of wood is provided and further supplies can be bought in Dolgellau. Kitchen / 'Y Gegin' - oven/hob, microwave, dishwasher, washing machine, fridge. Seating area on landing with a little window, perfect to drink in the spectacular views. 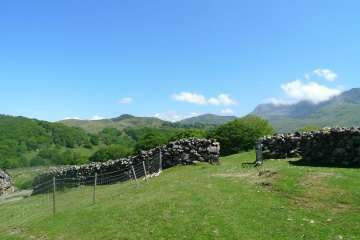 Acres of beautiful pasture and woodland to explore. Enclosed dog-friendly garden at both front and back of the property. 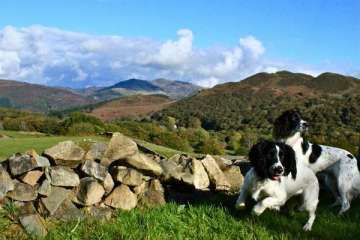 Snowdonia National Park - you're at its heart! Bike hire - 5 miles / 10 mins. 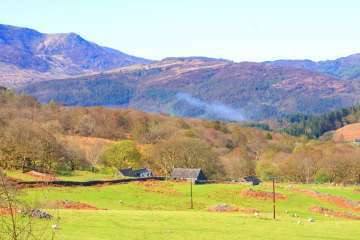 Dolgellau – Historic town - 5 miles / 10 mins. 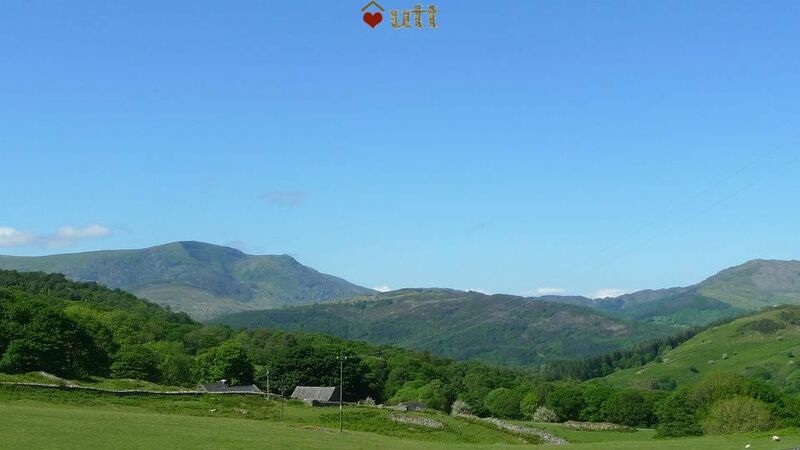 Dolgellau also has its own free app with historic walks, tourist information etc. 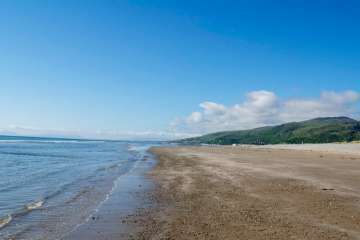 Fairbourne (beach) - 6 miles / 10 mins. 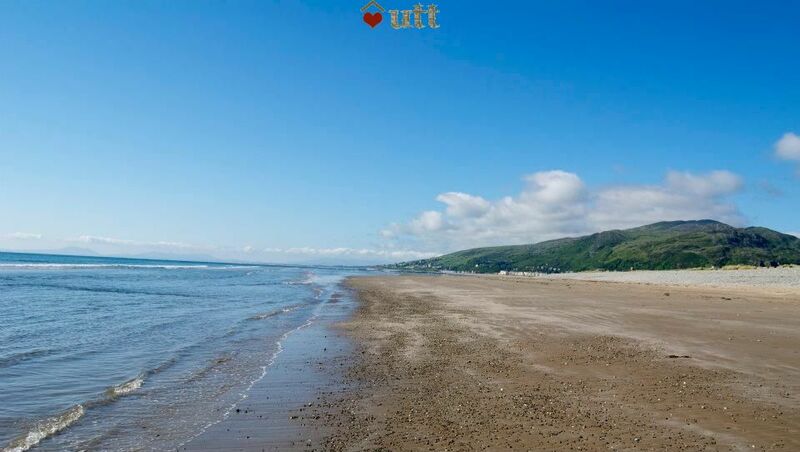 Barmouth (resort, beach etc) - 9 miles / 18 mins. 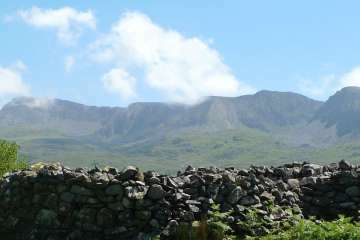 Cader Idris (mountain) - you're in foothills! Dylanwad (Cellar Wine Shop, Cafe/Bar) - 5 miles / 10 mins. Cregennan Lakes - (The National Trust’s) spectacular viewpoint of mountains and Cardigan Bay - eveyone’s Favourite walk direct from the house. 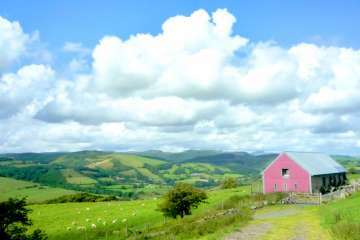 between Snowdonia and the Cambrian Mountains, near.. The cottage was fabulous and the location was perfect, being remote and on the foothills of the mountains surrounded by spectacular countryside. Hard to imagine a better place to stay. 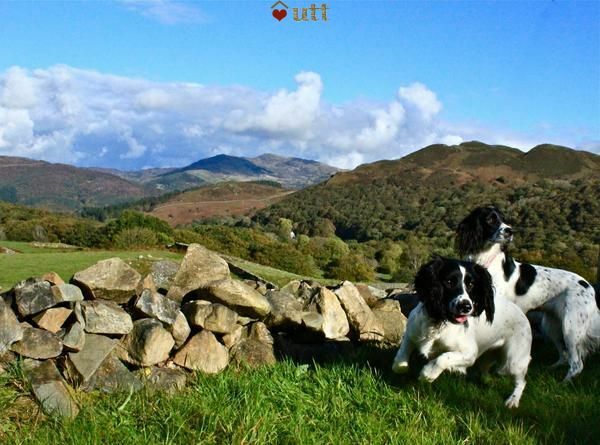 We have stayed in so many rural cottages both in the Highlands, Wales and the South West. 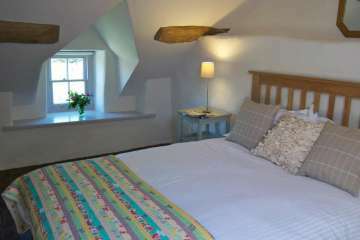 Cae Einion is by far the loveliest, with clean cosy rooms, comfy beds, incredible views . peace and quiet and many thoughtful touches. 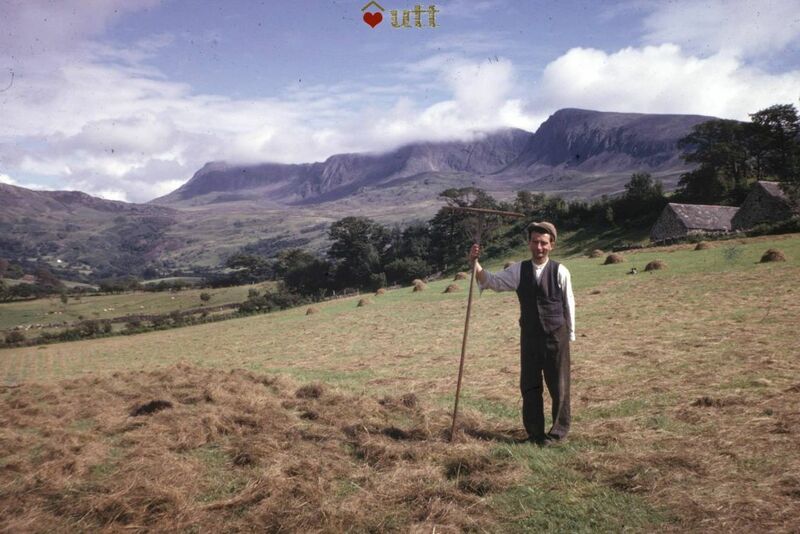 Welsh blankets and pillows, walking books and maps, and fascinating local books to read. We just didn’t want to leave! Too short a visit to this beautiful house with spectacular views of Cadir Idris. Peaceful, relaxed and seculded. We didn’t see another soul all weekend. 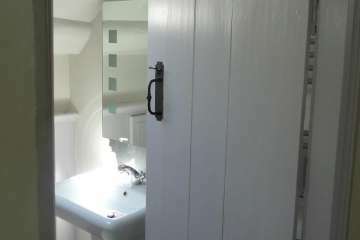 The house has been lovingly restored and you really feel as if you are living in a piece of history, but with all the comforts of luxury mod cons. Loved it! 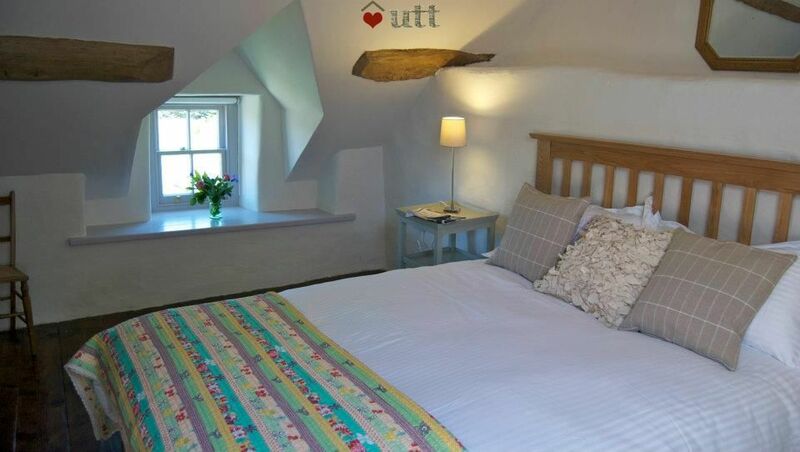 We had a lovely week in this beautiful cottage - the views from every window are amazing and the cottage was very well equipped and spotlessly clean. 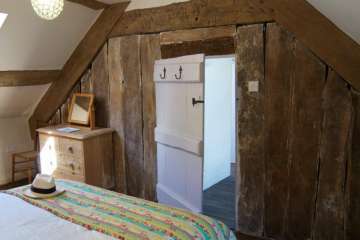 The beds were extremely comfortable and we enjoyed the wood burner! We hope to return again soon. An all to brief stay in a magical place amongst the kites and the skylarks with the call of the cuckoo as the only background noise. We were entertained by the lambs and their antics. 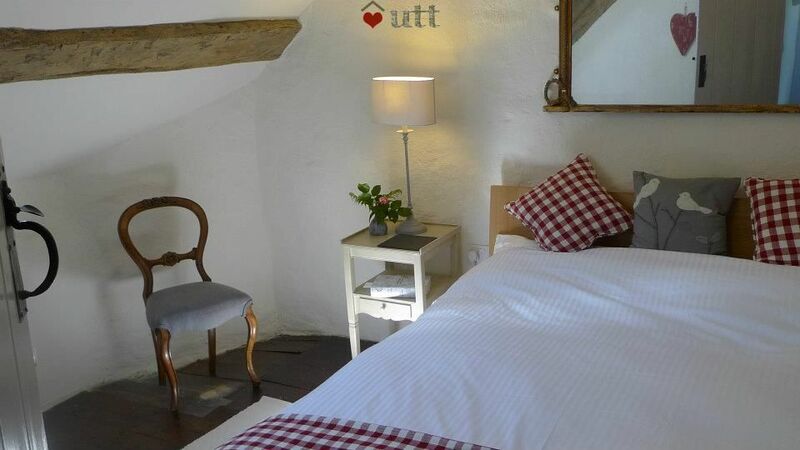 Cottage was full of character, cosy and amazing views of the mountains. Truly a special place, isolated beauty and a escape from our 24/7 technological world. Thank you for sharing this place with us. What a fantastic week we had here!!! 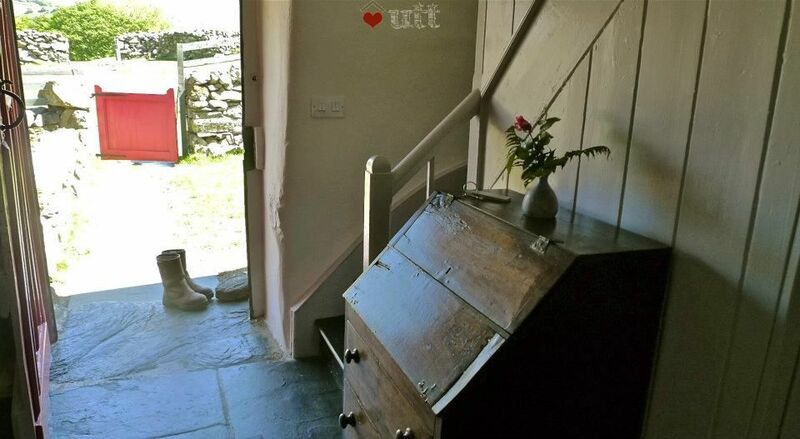 Cae Einion is a comfortable, well-equipped, renovated farmhouse which offers a wonderful secluded retreat from modern living (no tv/wi-fi), whilst allowing all the modern comforts you'd expect in terms of heating, cooking, bathroom facilities etc. 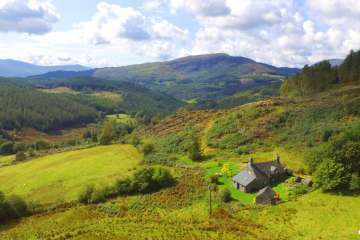 It is a wonderful base to explore the surrounding areas of Barmouth, Dolgellau or further afield, and to undertake walks in the immediate vicinity of the farmhouse. Its location is FANTASTIC! 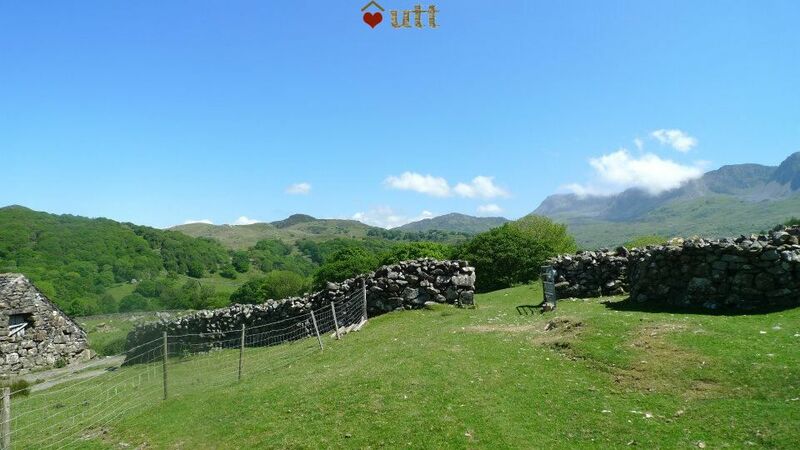 The views of Cader Idris are mind-blowing; to wake to the view of the mountain, and then to see the stars rising above it in the evening, was just so special! 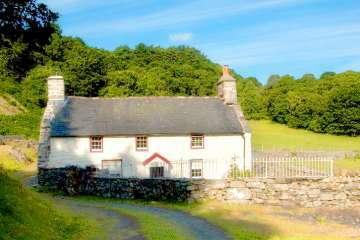 We have just spent 4 nights in this fantastic cottage in the middle of the beautiful welsh mountains and the sun shone for the whole time! The cottage was lovely so cozy and comfortable. It truly is a little piece of paradise.. we will be back next year. Thankyou Megan for being so helpful. We had an absolutely great weekend getaway stay! 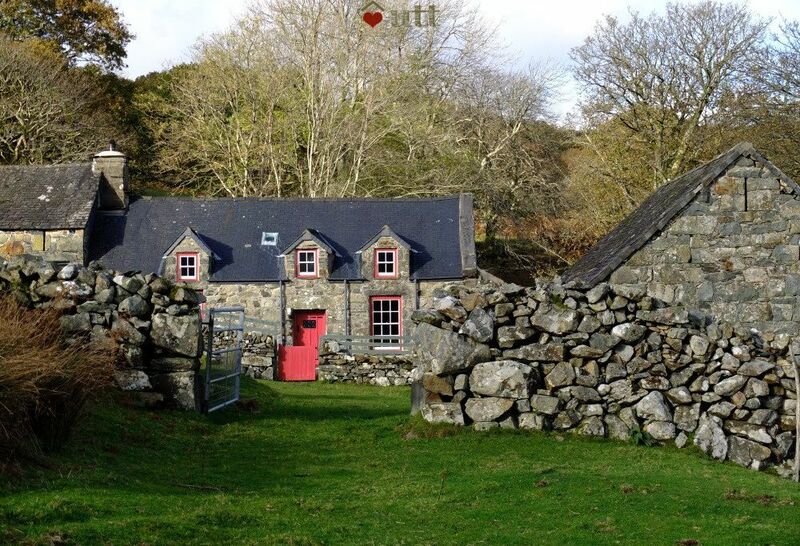 Lovely cottage in a great area. 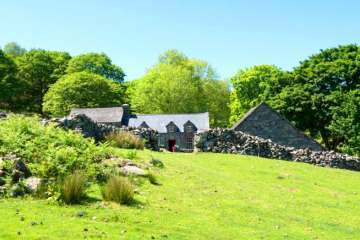 It is difficult to describe quite how magical Cae Einion is. From the minute we arrived at the gate to drive up to the house, we couldnt quite believe our luck. 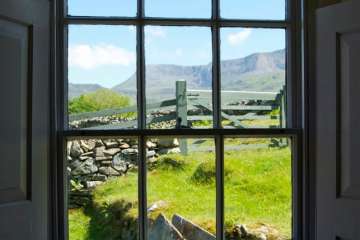 The views are breath taking from every window up to Cadair Idris and change with every passing minute. 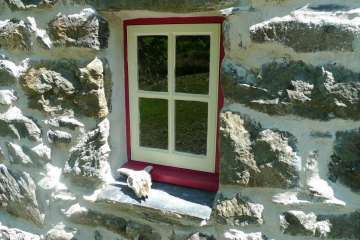 Utter peace and quiet, just the gentle music of the stream, tick of the long case clock in the hall and the sheep baaing- absolute bliss! The cottage is divine. Cosy, welcoming and well equipped, decorated beautifully and with oodles of character. There is no wifi or signal but all the better. Complete digital switch off for us and the kids was just what was needed. Our children, aged 9 and 11, actually made up games! (Unheard of these days with the ever present draw of telly and ipads). Meg was also very helpful when we texted her a query. 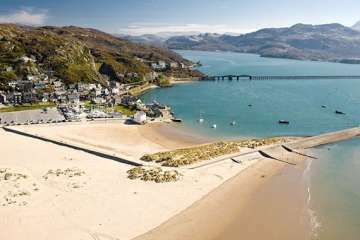 We had to drag ourselves away, but we had fabulous days out walking Cadair, cycling the Mawddach trail and Coed-Y-Brenin as well as sandy fun at Fairbourne and Barmouth beaches. We loved it and cannot wait to come back. Thank you! Our stay was excellent. The location is superb and incredibly peaceful. 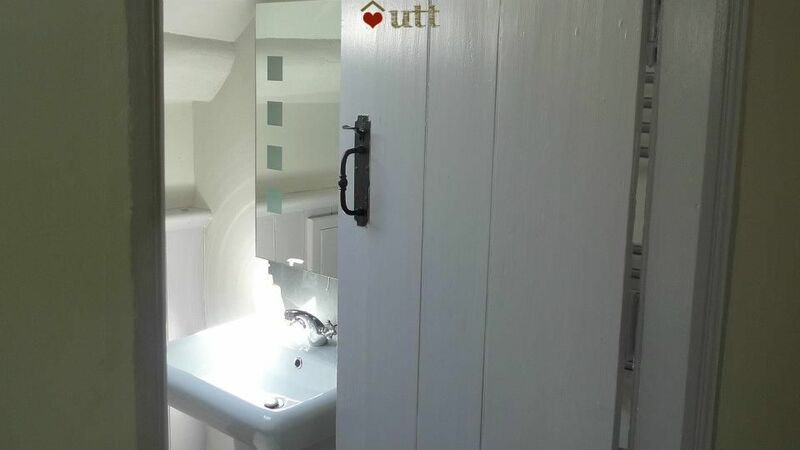 The cottage is lovely and very well equipped. We were lucky enough to have some clear skies on our last night and the darkness meant a wonderful hour of star gazing with the bats swooping around above. Cae Einion was everything we had hoped for and more. The location is breathtaking. The cottage beautifully appointed. We wish we were still there! 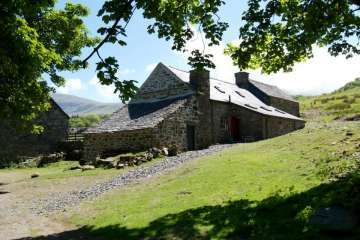 A fantastic getaway, nothing but sheep, greenfields and mountains to look out on, and the walking is fabulous. 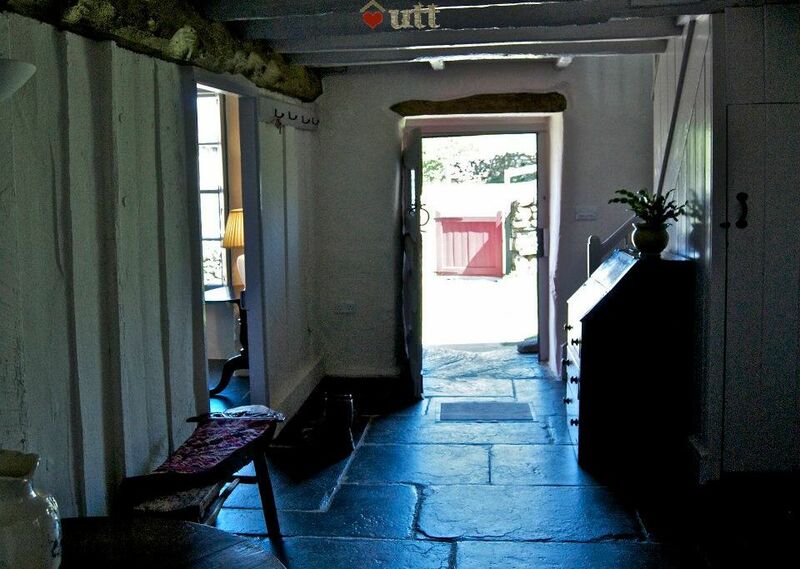 The house is classic UTT with lots of interesting family history. Immaculately presented in stunning location. Very warm and well kitted out. Privilege to stay in such an historic property. A lovely house with an amazing setting. Kept in tip top condition, too. 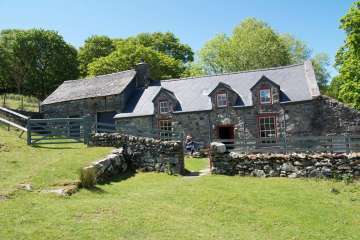 A gem in the Welsh mountains. We had a great holiday at Cae Einion. 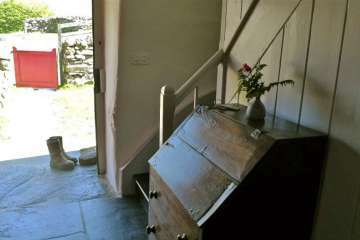 The house was lovely and really well furnished. The views were spectacular and the sheep in the garden were hilarious. Our children loved it, the location was great and driving up the mountain every day was an adventure. We'd definitely return! 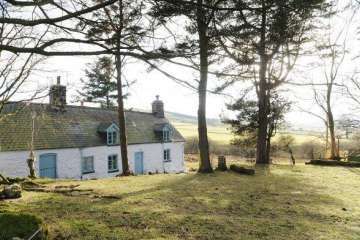 Well Cae Einion is a beautifully restored and furnished cottage in a magnificent location, and timeless in its connection to the local history and landscape. We felt rested and restored after a week immersed in the warmth and homeliness of the house, after days out in the beautiful surrounding countryside. 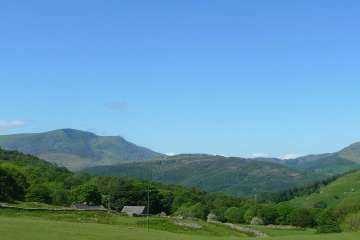 Dolgellau is a wonderful market town, and being so close to Cadair Idris was amazing. It has been the best holiday we have had. Thank you Megan. The house is so comfortable, welcoming and peaceful. A very comfortable, well appointed house in a near perfect spot. So quiet that we could hear the sheep in the field over the garden wall tearing the grass with their teeth to eat it. A perfect spot for walkers too, no need to drive you can just go from the front door. 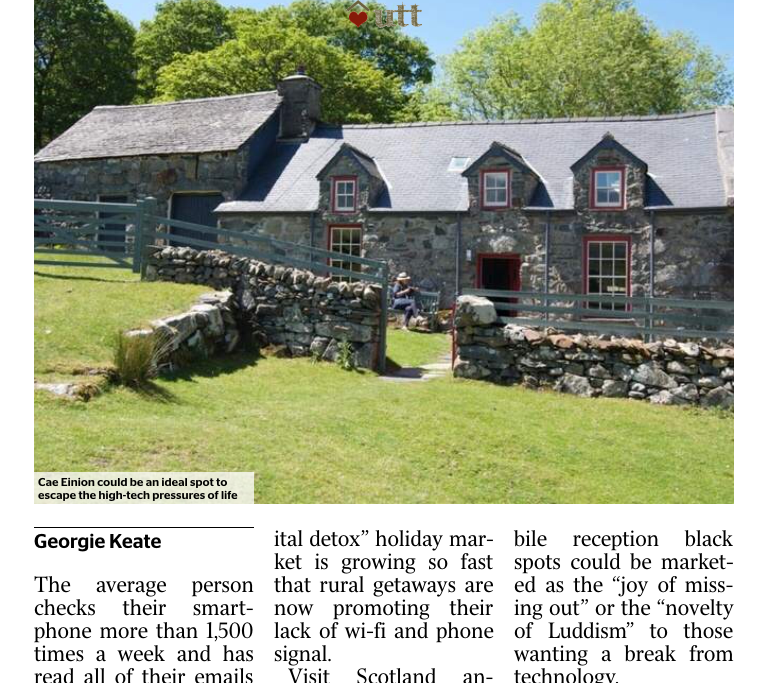 Our first holiday through Under the Thatch and we found the booking process quick and easy. 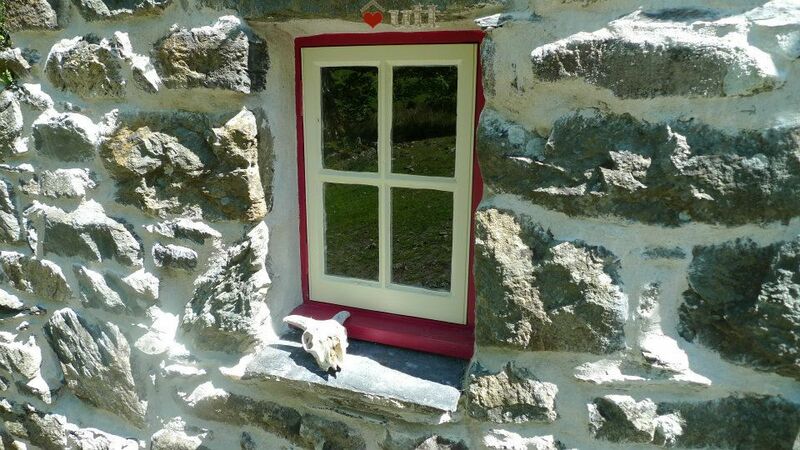 Cae Einion is a charming old building which has been sympathetically restored and is set in beautiful countryside. 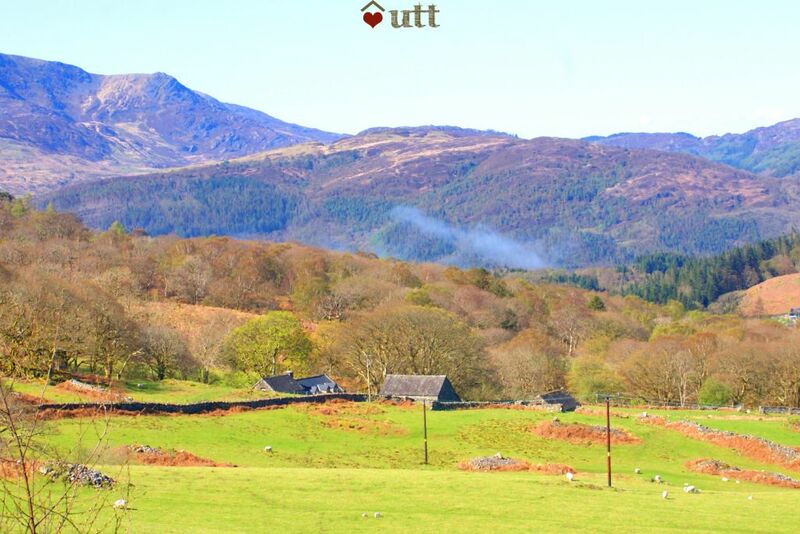 The views of Cader Idris from the cottage are simply stunning. 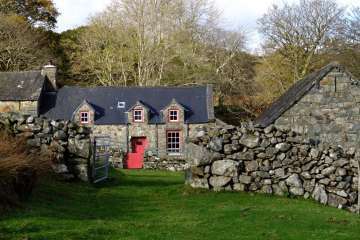 There is great walking in the immediate area and we enjoyed returning to this cosy cottage at the end of the day. Thoroughly recommended. Lovely rustic traditional cottage in a stunning location. Really enjoyed our stay and climb up the mountain and beaches. 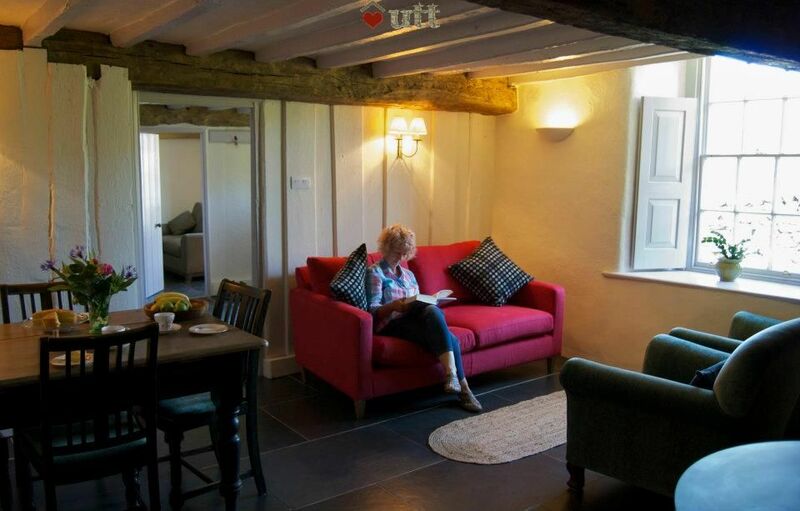 We had a fab stay in the authentically restored and tastefully furnished Cae Einion. The accommodation couldn't be faulted and it is equipped to a very high standard with every kitchen item you might require plus many books and maps on the area. Surrounded by beautiful countryside, the cottage faces the magnificent Cader Idris, which is a wonder to behold outside the front door. We enjoyed great walks every day directly out the back door, including to the estuary. 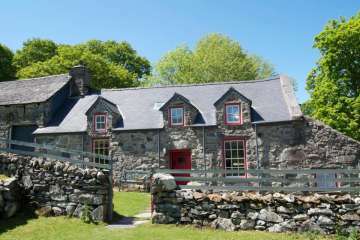 Nearby Dolgellau is an attractive, compact town with interesting history and architecture. Let's keep it a secret! 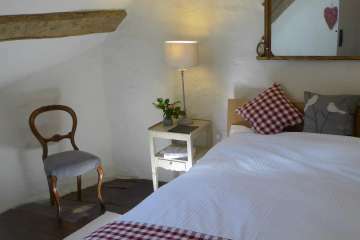 We have just returned home having spent 4 wonderful days at this cosy, welcoming and beautiful cottage. 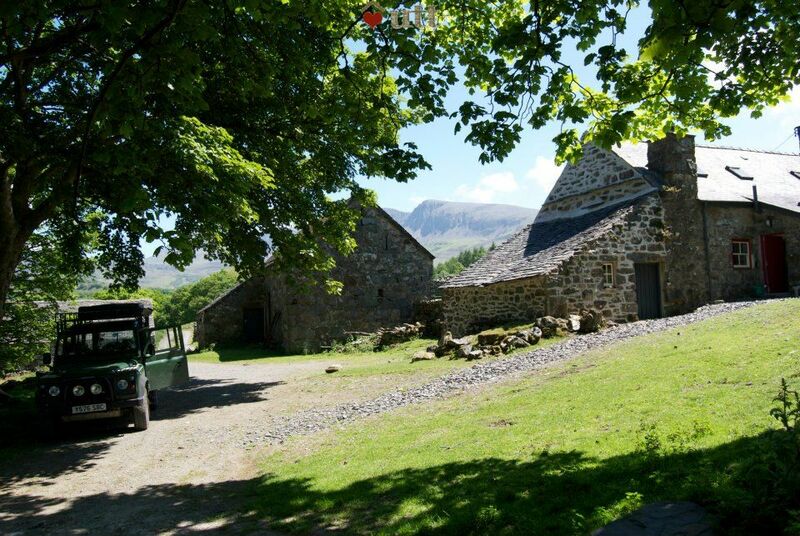 The setting is sublime and the chance to escape from the 'connected' world has left us feeling restored and utterly rested - despite busy days spent mountain biking and climbing Cadre Idris. Our teenage daughter was too charmed by the lambs that surround the cottage to miss her mobile, and being able to show her the Andromeda galaxy in a night sky with absolutely no light pollution is just one of the lovely memories we shall take from this unique place. 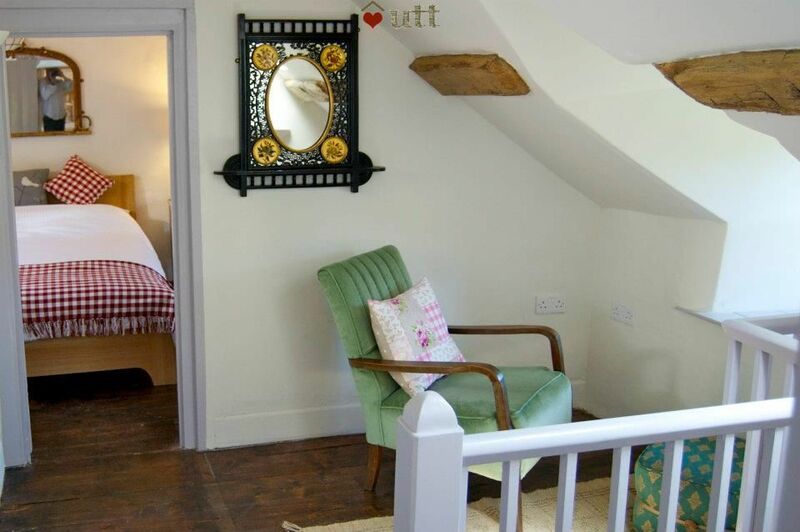 The cottage has been sympathetically restored and is tastefully furnished - we found it to have everything required for a comfortable stay. We cannot wait to return. 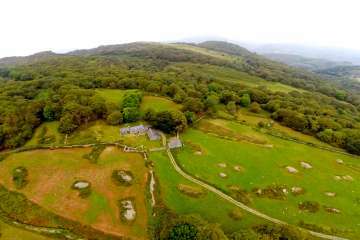 Can't recommend highly enough- Cae Einion is a really special place. The setting is spectacular, the house stylish and yet cosy and the location perfect for exploring the beautiful countryside. We especially loved the nearby precipice walk. The lack of Internet, TV etc meant lots of good conversation and enabled us all to unplug. We will be back. 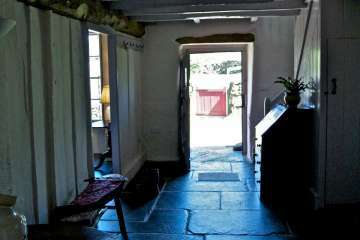 Cae Einion is a wonderful place - it has been beautifully restored but retains its sense of history with modern comforts. The views are stunning and the silence is total. The only downside was having to leave. 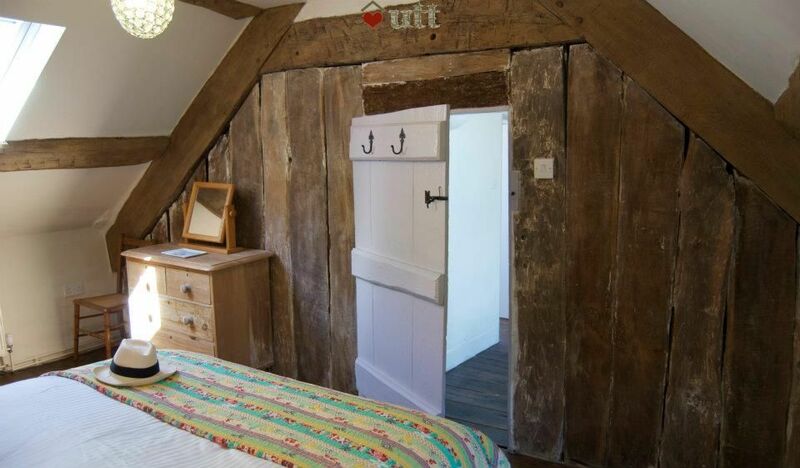 This medieval cottage with up to date facilities is a perfect location. We have no complaint The cottage is quiet. The grounds are perfect. The sense of calm is out of this world. This week was a better weeks break than we have had. We arrived with provisions for the week. We explored a little - walked to Dolgellau down the road, through the forests and along the sublime estuary. Picked up some eggs from town and the local vegetable shop arranged us a taxi back as it was late. The beach and seafront buildings at Fairbourne accessed after driving past unspoilt lakes through the mountains in this unspoilt area of Wales - clean and hasn't changed in forty years. I was reluctant to do a review as I don't want it to be too popular! 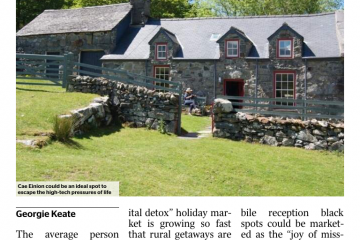 A perfect location for an old fashioned holiday with no electronic disturbances. 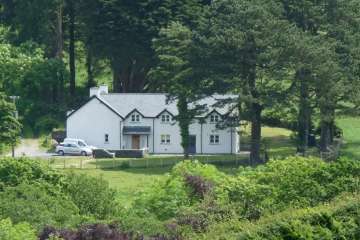 Car Einion is a wonderful cottage for those wanting to get away from the noise and stress of life. You open the front door and look straight out over the mountains. 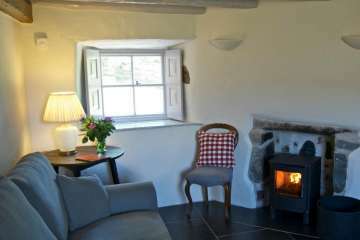 The house itself is clean, comfortable and quiet with wonderful wood burning stoves. We enjoyed our short but very peaceful break here. 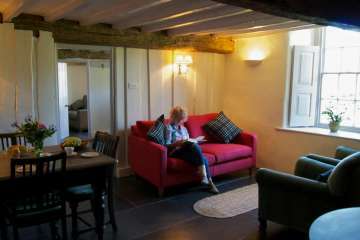 We had a truly relaxed break at this wonderful cottage. The attention to detail, decor, furnishings, etc, made this an excellent experience. The log fire was lit for our arrival - as you would expect in early May in the UK, it was not exactly a warm evening. 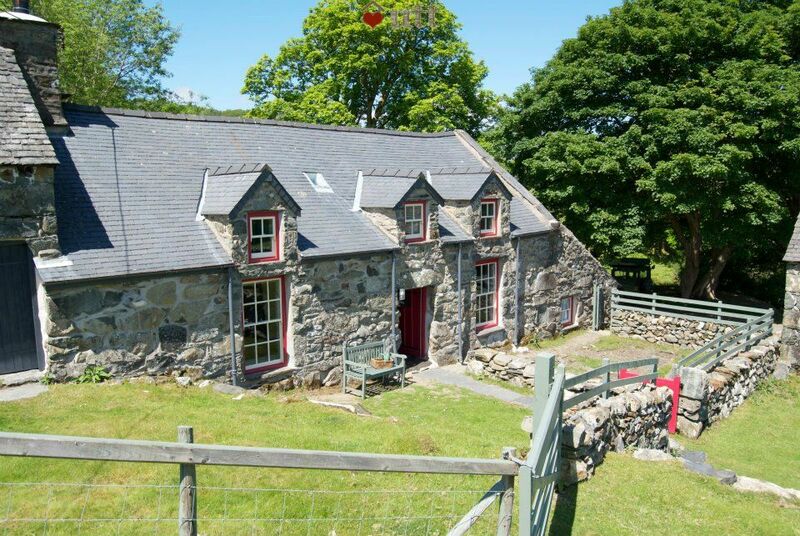 We would (and have) recommend this beautiful cottage in amazing countryside to anyone. No TV, Internet, mobile phone signal, made it even more enjoyable; it's good to talk ;). Thank you Under the Thatch, we will use your site again for our next break.